Well folks, we attempted the impossible. 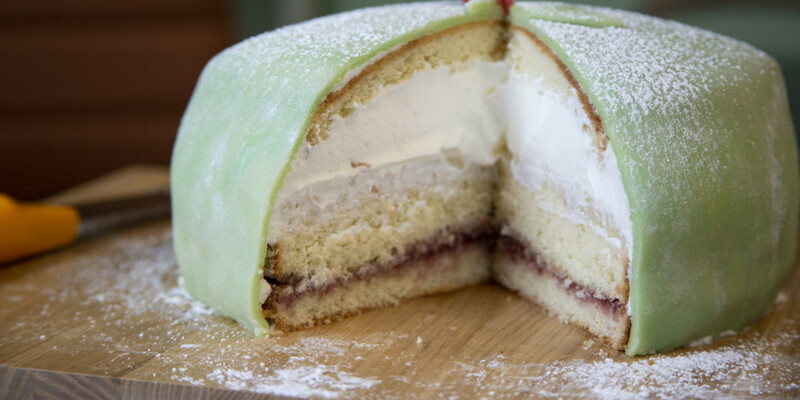 OK, it wasn’t impossible, but making a Princess Cake from scratch sure gave us a run for our money! Last week, we rolled up our sleeves and got up the nerve to bake a prinsesstårta, and if you’ve been following along, you know that we had a lot of thoughts and emotions along the way. For your viewing pleasure, we made sure the cameras were rolling while we assembled the cake. You can make one at home using the same Marcus Samuelsson recipe we did, or pick one up at a bakery near you.